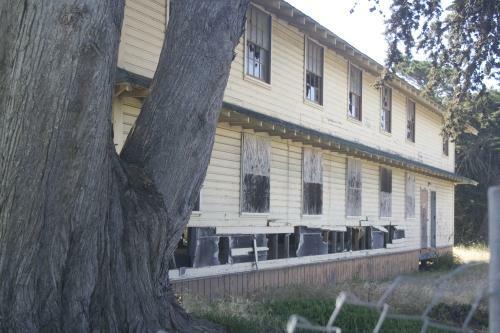 Fort Ord AIT barracks. 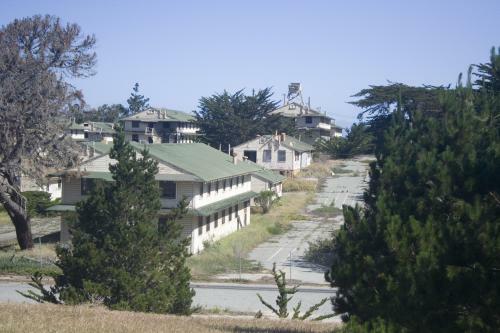 This is a view of some of the barracks that were used for Advanced Infantry Training in 1969. Fort Ord AIT barracks Another view of the AIT barracks. You can see the white lines that were used to line up on during formations. 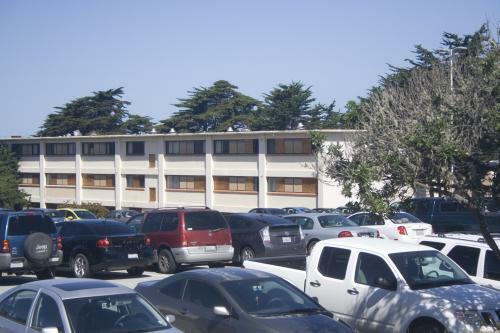 Fort Ord AIT barracks. You can see the weathered paint and missing peices of wood. 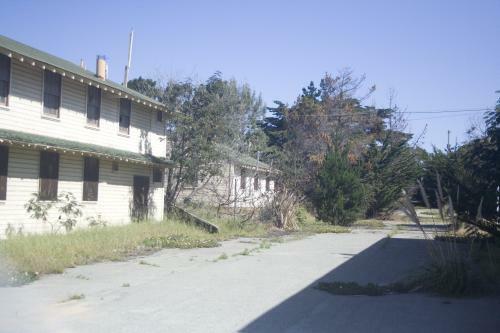 Fort Ord supply warehouses. This is only a small portion of the old warehouse area where basic trainings were given uniforms just after arriving.. 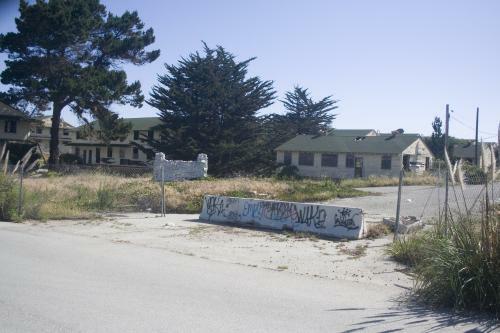 Welcome to Fort Ord! 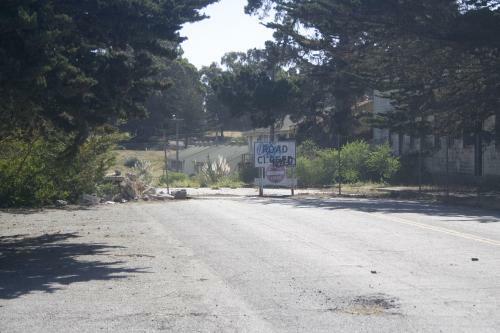 This was the entry to the 'reception' area of Fort Ord where all new arrivals came to. 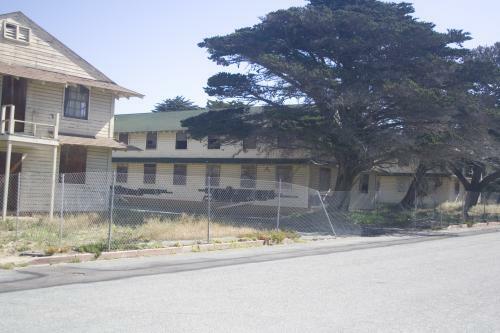 Fort Ord AIT mess hall. 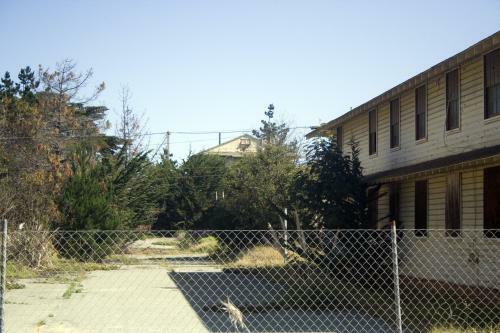 The smaller building on the left was one of the mess halls. Fort Ord AIT area. Here you can see how bad the conditions of the buildings are. The large hole in the side is from vandels looking for copper pipe in the walls of the buliding. Reception area building. This is a photo of one of the barracks used to house new soldiers in the reception area. Again notice the vandals at work! Fort Ord. We marched up this road during training. Fort Ord AIT barracks More photos of the AIT buildings. 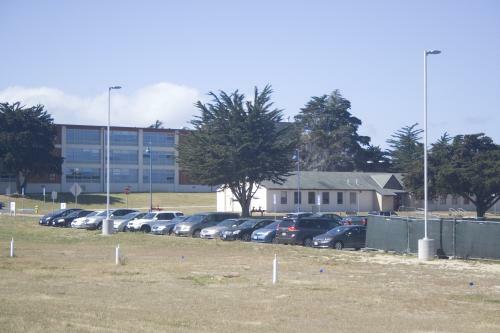 Fort Ord Reception barracks Heres a view of just some of the buildings used to house new recruits..
Fort Ord Basic Training barracks Heres a picture of the 'New Barracks" that housed the basic training companies. 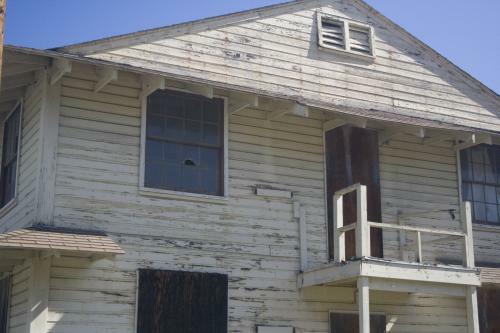 They are being reconditioned to house students at Cal State Monterey. Fort Ord Basic Training barracks The building in the background (third floor far left) was my barracks. The small building in the foreground was the PX / barber shop. 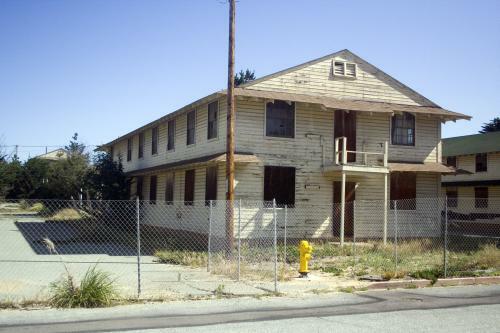 Fort Ord AIT barracks. The barracks up the hill in this photo was where I was for 8 weeks of training. The pavement in the foreground was actually a road that went all the way up the hill. 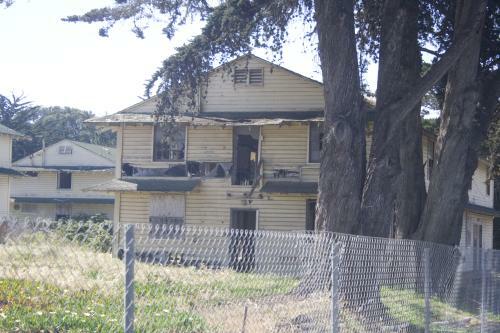 Obviously the trees and shrubs have taken over..
Fort Ord reception barracks. More pictures of the reception area..
Fort Ord AIT barracks. I doubt these will be here much longer. The following photos were taken at the old Ford Ord. I was inducted into the Army and stationed at Fort Ord for just over 16 weeks before going to Vietnam. 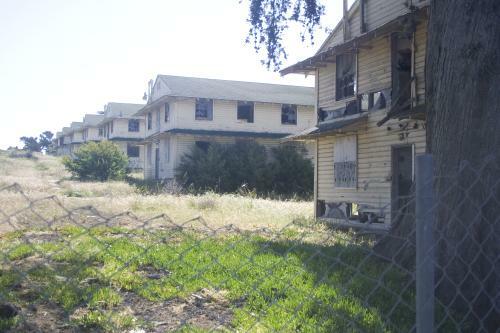 Fort Ord was closed officially in 1993 what you see is pretty much all that is left. 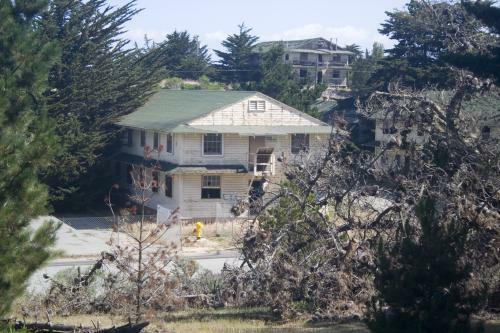 The old hospital and main headquarters are gone (now a shopping outlet) and the rest of what was the living areas have mostly been turned over to Cal State University Monterey. The large areas of land (old ranges and training areas are now part of Fort Ord National Monument. The old rifle ranges is now Ford Ord Dunes State Park. I would guess the old buildings will be gone within the next few years.